Hidden away on the street affectionately dubbed Liverpool’s ‘Diagon Alley’ is one of Liverpool’s most innovative and most under-celebrated arts organisations. 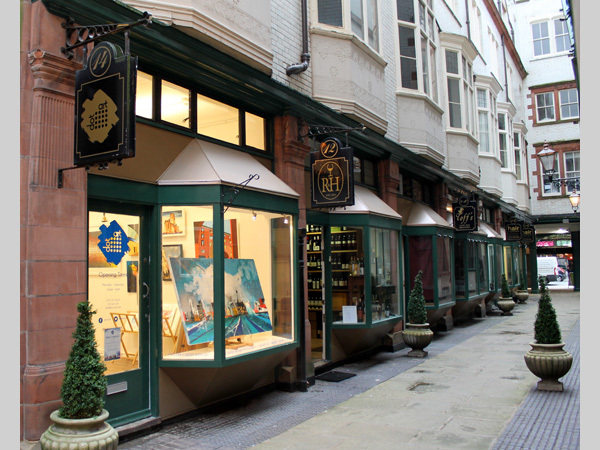 Dot-art is instrumental in its support of the arts; from its artist’s membership network, art classes, framing services, art rental scheme to valuations; the small independent gallery plays host to an array of activities which helps foment the local scene. 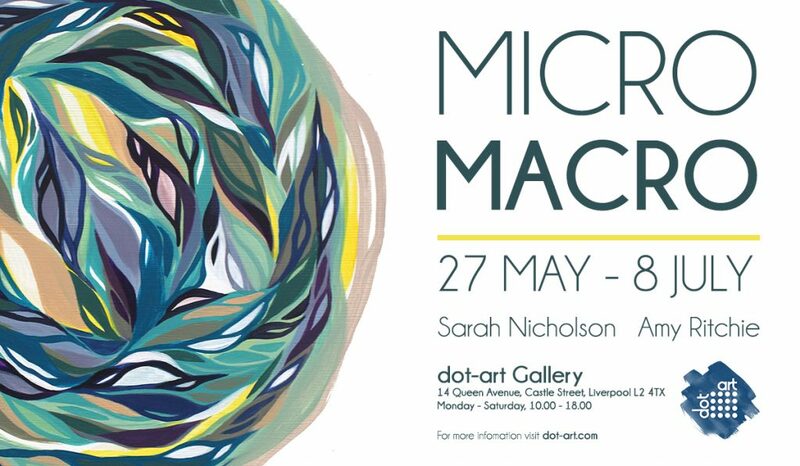 The latest exhibition on offer from dot-art entitled ‘Micro Macro’ shows the work of two artists, Amy Ritchie and Sarah Nicholson. The exhibition serves as a testament to the gallery’s commitment to supporting local artists (both artists are part of dot-art’s membership scheme) as well as its ability to mount exhibitions which have an interesting viewpoint worthy of exploration. The artists are coupled together through their use of distorted perspectives in order to produce abstract images that explore a wider narrative. Both artists create abstract images with the intention of communicating concrete ideas about their subject matter. Amy Ritchie’s work involves microphotography and studies the complex organic structures within plants. For Ritchie she seems to be transmuting the traditional function of flora in the artist’s jurisdiction. The natural world has long been a source of artistic inspiration and is often presented in a romanticised light. However, here Ritchie is exploring the flora in a much more scientific manner producing images that mirror the complex and resilient nature of these oft-sentimentalised entities. Though presented in a more scientific light, these plant forms appear no less beautiful and in a number of ways they allow Ritchie to explore her painting practise in a manner that focuses on light and colour which result in bold, striking abstract images. In this body of work created specifically for this exhibition Sarah Nicholson explores themes and methods that have interested her over her career. Nicholson’s work utilises Google Earth to take snapshots of solar farms, Nicholson then follows these forms with pen and ink to create an abstract image.These woven lines are reminiscent of delicate textiles, the antithesis of the cold, imposing forms that wind farms create on the natural landscape. The delicacy of the drawn line and the juxtaposition it produces against the object it represents indicates Nicholson’s concern with the precarious coexistence of humanity and the natural world; in which green technologies have not always been welcomed or championed. The exhibition showcases an engaging take on both artists’ work; through pairing the two together the viewer is invited to explore lines of narrative and interpretation that marry the two together which may not have existed if the two bodies of work were not shown side by side.